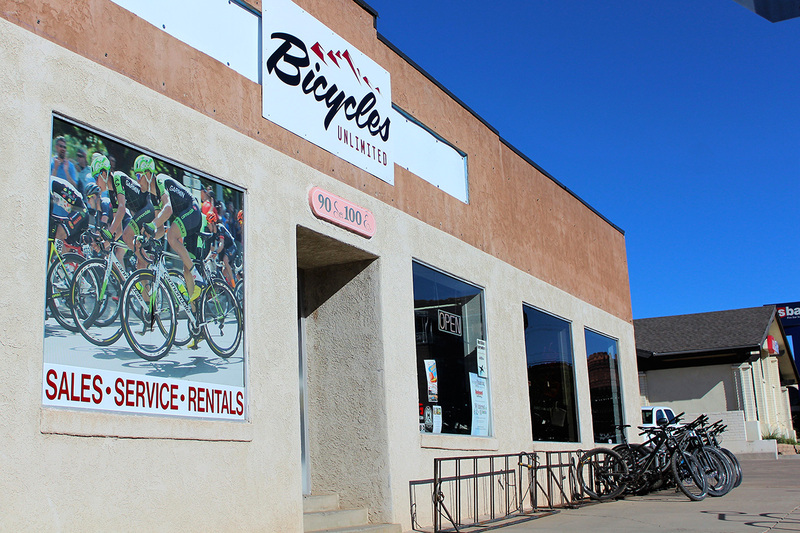 FEATURE — St. George is becoming a bigger city every day. Land that was once open expanse is now full of housing tracts. So far, we’ve been lucky not to have lost much in the way of official trails because most of them are on public land. I’m sure a lot of locals have seen a secret stash of singletrack in their neighborhood or in the once close-by desert sadly get plowed under. Some well-known and long-used trails will surely be lost in the fury of development that we’re seeing now. The Green Valley Race Course and surrounding routes are on private land and are currently for sale. They’re a prime example of what can and will be lost. Happily, the BLM is willing to let us reroute and rebuild on the land adjacent to the private land, but what is lost is lost. Some great St. George style trails as well as the history of the many races and rides that went down there will just be memories. There is a bright spot in my gloom though – one that I hope other developers will notice and follow. The Desert Canyons community near the airport has set aside some open space for a trail system, realizing that having close-by opportunities to recreate outdoors is an amenity that many people find important when choosing a place to live. On the northeast side of the parkway are the trails called Secret Sauce and Claim Jumper. On the south side is a connector trail that takes you west and through a culvert back under the parkway to Pushing Tin. There is also a connector that parallels Fort Pierce Wash between Secret Sauce and Pushing Tin. The connectors allow you the option of stitching trails together in different ways. Right now, there are roughly 10 miles of singletrack. All of it, with the exception of the Secret Sauce loop, is two-way traffic, so running a trail in the opposite direction counts as an option if you’re looking for more miles or more variety. Excitingly, there is word going around that more trails are in the works. Since the existing trails are intended for multiple users (runners, hikers, families and cyclists), they are built to be a bit easier than most riding trails in Washington County. The property owners employed a professional trail builder and enlisted the aid of Dixie Mountain Bike Trail Association to build singletrack that is interesting, with good corners that flow from one trail to the next and features that challenge even seasoned riders. Secret Sauce keeps the technical aspects to a minimum and has some climbing, but it pays off with a really fun, snaky descent. At the bottom, you can opt to go back to your car or climb back up Secret Sauce and hook onto Claim Jumper for a twistier corner-fest back to the trailhead. 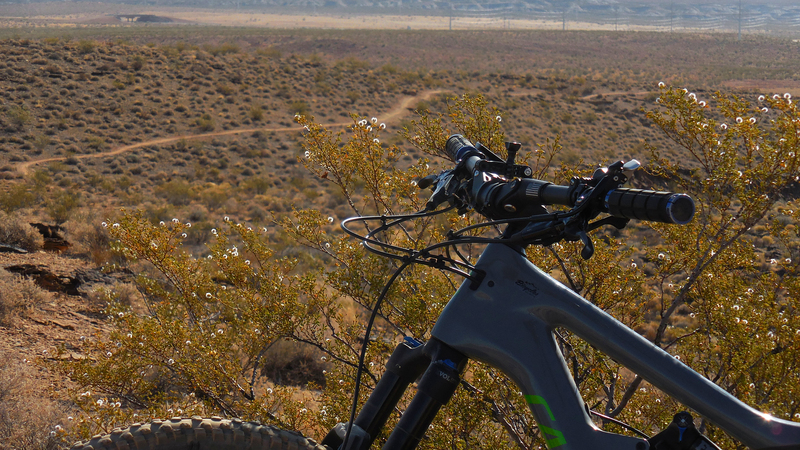 The funny thing about Pushing Tin is that it was once one of the easiest trails in St. George, but with the introduction of Secret Sauce, it has become the more technical portion of the system. It has a few more rock problems to deal with, like steps, up-and-overs, and places where you thread the needle through the rocks. It’s not overly difficult though; I like to think of it as a good introduction to Washington County riding. Once you’ve figured out the problems of Pushing Tin, you’ll be ready to try some of the more difficult trails in the area. Desert Canyons has set a precedent that others should follow. People shouldn’t have to travel just to escape. A run, hike or ride can be just the thing to help you unwind after a hard day, and it’s that much easier to do if it’s close to home. Now get out and ride! This article was first published in St. George Health & Wellness magazine and updated for current publication.